My newest letterpress printed book is a miniature! Saint Talfryn is a comical, fictional tale written by my brother Francis. 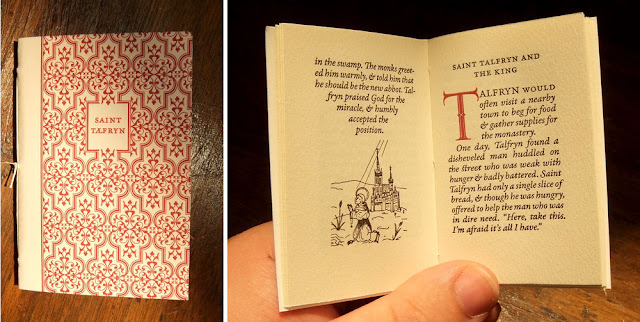 The book is a diminutive 2x3 inches in scale, and consists of 16 pages. Get a copy now for only $25, shipping included in the USA.